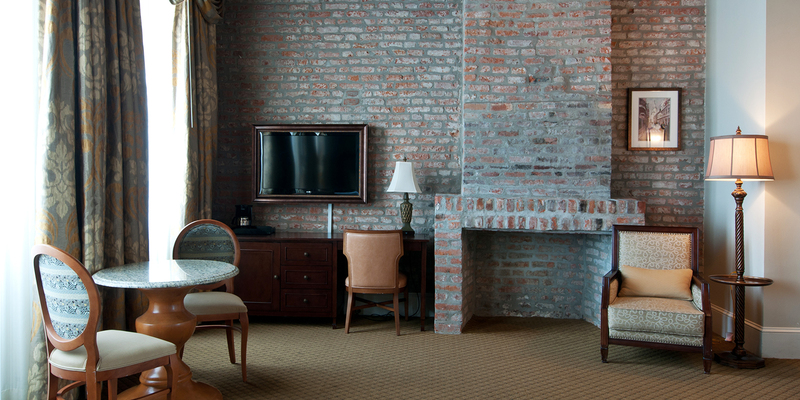 Use our tips below to find indoor fun in the French Quarter. The Historic New Orleans Collection (THNOC) is spread over several historic buildings in the French Quarter. Though you may not want to tour the buildings in the rain, the Royal Street location (533 Royal St.) houses the main museum with a permanent exhibit on state history, plus rotating exhibits on history and art. The New Orleans Pharmacy Museum features a permanent collection of 19th-century surgical instruments, books, patent medicines, and locally excavated bottles. The museum occupies a two-story historic building, the site of the apothecary shop of Louis Joseph Dufilho, Jr., who was America’s first licensed pharmacist. The museum’s second floor features a sick room and physician’s study, and there’s small yet lovely courtyard. Guided tours are available. 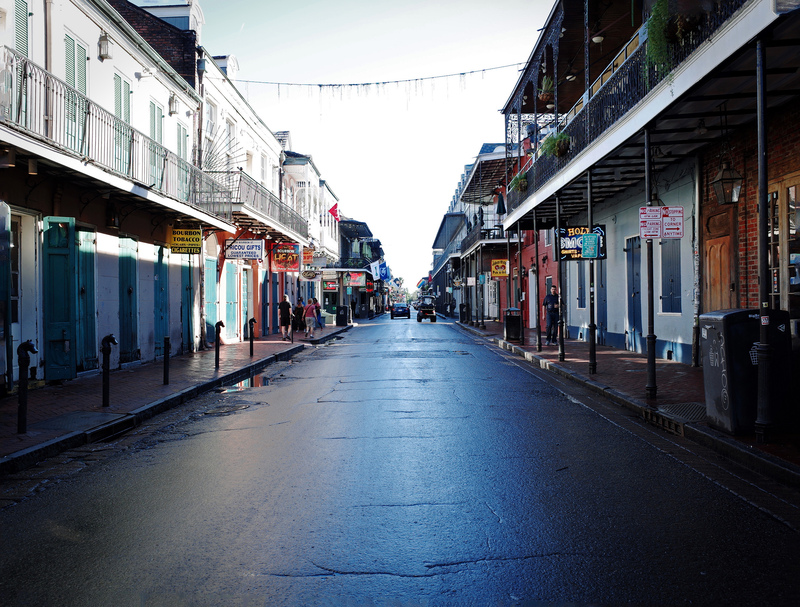 Consider heading to Jackson Square for two museums and a historic cathedral. Catch a mass or free concert (or just admire the interior during the quiet hours) at the St. Louis Cathedral. It’s flanked by the Cabildo and the Presbytere, which are now run by the Louisiana State Museum and house a number of excellent exhibits. You’ll find many precious pieces of Louisiana history at the Cabildo, like a rare Napoleon death mask and a painting of Marie Laveau by Frank Schneider. There are two excellent permanent exhibits at the Presbytere. You could get lost for hours in the “Mardi Gras: It’s Carnival Time in Louisiana” exhibit which details the history of Carnival traditions in Louisiana, including Cajun Courir de Mardi Gras, Zulu coconut throws, Rex floats, and spectacular costumes throughout the centuries. The “Living with Hurricanes: Katrina and Beyond” exhibit documents the natural disaster and ongoing recovery. The Outlet Collection at Riverwalk at The Shops at Canal Place are a short walk away from each other. Both are self-contained, multi-storied indoor malls that could keep you shopping and eating for as long as your stamina holds up. The Riverwalk mall is an outlet with more than 75 retailers and restaurants, including Nordstrom Rack and Cafe du Monde. The Shops at Canal Place is home to Saks Fifth Avenue, Tiffany and Co., Anthrolopologie, and dozens of other upscale retailers. There’s a small food court upstairs. The Theatres at Canal Place is located inside The Shops at Canal Place mall. It features in-seat food and drink service, with movie-title-themed signature cocktails, sliders, panini, gourmet pizza, and ice cream from Angelo Brocato’s. Not far away is the state-of-the-art IMAX theater, located next to the Audubon Aquarium of the Americas at the riverfront. It usually has two or three nature-themed 3D films on rotation; tickets are included with the Aquarium admission. Speaking of the Aquarium, the sprawling compound on the riverfront will keep you and your family enthralled with its walk-through tunnel, otters, penguins, sea turtles, a stingray touch pool, and an expansive replica of an offshore oil rig submerged in 400,000 gallons of water. On the other side of the French Quarter, the Audubon Butterfly Garden and Insectarium, located in the U.S. Custom House on Canal Street, is packed with bug-centric interactive exhibits. Sample a cricket chocolate chip cookie at the cafeteria, or let the butterflies land on your head in the spectacular butterfly garden. Canal Street shines once again as a performing arts destination. See a Broadway show at the palatial Saenger, built in 1927 and restored in 2013 after staying vacant post-Katrina. Or catch a live music show or a national stand-up comedy act at the Joy Theater. This 1946 landmark started off as a movie theater and was gorgeously restored to its art deco glory. Just off Jackson Square, Le Petit Theatre du Vieux Carre has called its St. Peter Street location home since 1922. See what’s playing this season at the famed playhouse here. There’s nothing more delicious than holing up with a cocktail and snack on a rainy day, and there’s obviously no shortage of options in the French Quarter. Some of the best bars and restaurants in the city offer incredible happy hour deals you won’t want to miss. Vacherie‘s happy hour (3-7 p.m.) $5 bar menu has slider of the day specials and draft beer flights. The Bombay Club inside Prince Conti Hotel specializes in martinis and has more than 50 specialty cocktails on the menu. The daily happy hour (4-7 p.m.) features $3 beer and wine, $5 cocktails, and $4 small plates.